Why Do Children Embrace or Reject the Religion of their Parents? According to Professor Bengtson, parents have as much hold as ever on children’s souls. “Parent-youth similarity in religiosity has not declined over 35 years,” from 1970 to 2005, he writes. Denominational loyalty is down — kids feel free to ditch the Baptists for the Presbyterians — but younger generations are no less likely to inherit core beliefs, like biblical literalism, the importance of church attendance or, for that matter, atheism. As to why some children follow their parents, spiritually speaking, Professor Bengtson’s research confirmed some common-sense assumptions. For example, it helps if parents model religiosity: if you talk about church but never go, children sense hypocrisy. And intermarriage doesn’t help. If you’re Jewish (or Mormon, Catholic, etc. ), and want your child to share your religion, it helps to marry someone of the same faith. But Professor Bengtson’s major conclusion is that family bonds matter. Displays of parental piety, like “teaching the right beliefs and practices” and “keeping strictly to the law,” can be for naught if the children don’t feel close to the parents. “Without emotional bonding,” these other factors are “not sufficient for transmission,” he writes. This study discovered that emotionally bonding with one’s father seems to be the most important determinate as to whether or not a child will embrace the religion(s) of the family into which they were born. Not whether the child was properly catechized, or rigorously taught a belief structure, or pushed to deeply explore various worldviews, or given a certain set of moral standards. These things are not necessarily bad, in the right settings they can often be very good, but according to this study they were not nearly as important for belief transfer as it was for a child to feel close to their parents and, in particular, their father. I think that this leads us to an important point that should be intuitive but in many cases is not (for my part, I wasn’t clued in on this until I met my current pastor)–a crucial part of the Christian life involves intentionally taking steps to better under understand ourselves and then opening up our lives and emotionally connecting with those around us and with God. At first this can seem strange and even uncomfortable because we live in a world, even a church-world, which often leaves us emotionally disconnected or connected in very dysfunctional ways. For instance, I find that it is easier to debate ideas or rationally discuss a Scripture passage than to be vulnerable and honest with those around me and to take the time and spend the focused energy to deeply understand the pains and joys of those I love. But, if I want my daughter to embrace the Christian faith that so animates my life, I had better not merely talk to her about the truth, I must deeply love her, be transparent and honest with her, incarnate the message that Jesus is Lord in all its breadth and fullness, and emotionally connect with her. Because if I merely give her my faith packaged as a mental idea, my faith will likely die with me. History is merely a pattern we see in what has passed. It has no power to reach into the present. I think this view of history is similar to the ways in which many Christians regard portions of the Old Testament. We often refer to the books of Joshua-Esther, following an old tradition, as the “historical books.” There are good reasons to use this label–this section emplots the histories of Israel and Judah (histories because are parallel accounts, like Kings and Chronicles, which contain differences and particular theological interests). But often times when we hear the word “history” we think of it in terms similar to the character in Coetzee’s book–history is in the past, it relates some trivia but for the most part it is irrelevant for those of us living in the present. Jewish tradition viewed these books very differently. Instead of calling these books “historical,” within the Hebrew canon Joshua-Kings is seen as a collection of “former prophets” (the “latter prophets” being Isaiah and the like), while Chronicles-Ezra were lumped into the “writings,” a catch all collection of texts that were, for the most part, written rather late in the development of the Hebrew Bible. What’s really striking about the designation of Joshua-Kings as “former prophets” is that this moniker regards these books not as dead records of the past but as living voices for the present. They are prophetic books that teach their readers how to live flourishing lives, give warnings concerning dangers to avoid, and provide insights into the fragile states of humankind and the gracious and fractious relationship that we have with God. When is the last time that you’ve heard the book of Kings preached in church? I’m guessing that it’s been a while, if ever. If more pastors thought of Joshua-Kings as “former prophets” rather than “historical books” would they preach on them more often? Many of us, including myself for a long time, view law as something negative–a list of don’ts, punitive rules, commands that box us in and restrict our lives. And for this reason many people, even some Christians, have a negative disposition toward the Old Testament. It is true that the laws in the Old Testament (and also the New) act to constrain our behavior. But constraints are not always bad. In some sense, the only way to truly live is to observe certain boundaries. Instead of stifling creativity and eliminating fun, constraints often enhance artistic creation and produce greater human flourishing. A recent example of this can be seen in the critical reaction to the new season of Arrested Development. It ran for three seasons as a network TV show and after a long hiatus Netflix released a fourth last weekend. The pre-Netflix show was fast paced, zany, frantic, kinetic, even. Almost every episode was a constant series of hilarity–both overt and subtle–packed cheek and jowl. The new series, I have read, is bloated and overwrought. Hurwitz was famously constrained by the network system at Fox, but he made genius of necessity. Restrained by content standards, he wrote a kind of poetry of innuendo. Confined by commercials, he compressed and chiseled episodes into sculptures of diamond. On commercial-free, watch-at-your-own-pace Netflix he’s free — to write incredibly intricate plots, to vary the length of acts, to make episodes over 30 minutes long. It’s like this with the rest of human life too. If we are free to do absolutely whatever we want, most of us will end up in decision paralysis or the same kind of flaccid, dullness that apparently characterizes Arrested Development’s new season. In like manner, if we approach the biblical legal corpus as a set of boundaries intended to create the conditions for human flourishing instead of as a list of rules designed to punish us, we will embrace them more easily and learn from them more readily. And in the process we will adopt a perspective a bit closer to that of the authors that penned them. Let us begin by clearing up the old confusion between the man who loves learning and the man who loves reading, and point out that there is no connection whatever between the two. 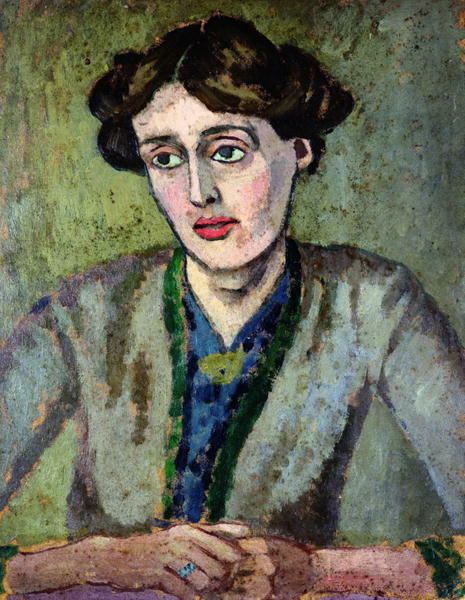 – Virginia Woolf, “Hours in a Library” in Times Literary Supplement, 30 November 1916. I am convinced that hardly a Christian reads the Bible. We may crack its spine every morning, study it groups, or vocalize it in services, but we never, ever, actually read it. That’s because we use the Bible. We approach Scripture with the specific agenda of learning from it. 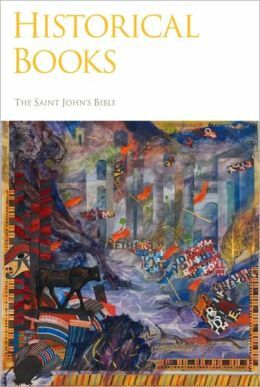 We burn through four chapters a day to complete it in a year, distill theological principles from paragraphs, and make moral applications from the Decalogue. But we don’t enjoy the Bible. We use it as a vehicle to get us somewhere else — to another spiritual reality, a different moral space, a more developed theological perspective. We hardly ever linger within its pages, asking it to do nothing else than capture our imagination. But surely this is one of the things its editors desired. Why else would they have assembled a canon that contains genealogies, cosmologies, etiologies, biographies, narratives, laments, liturgies, letters, credos, contracts, visions, riddles, oracles, apocalypses, histories, hymns, parables, proverbs, poems, laws, ordinances, reports, dreams, encouragements, rebukes, songs, and speeches when they could have saved some ink by giving us a few bullet points of doctrine, some ethical guidelines, and a barebones narrative? It seems that the Bible was intended to nourish the entire person, not merely shape our beliefs and guide our behavior. Otherwise, the poetic and literary nature of the Bible is purely superfluous. Yet, most of us never take a break from studying the Bible to read it. There are several reasons for this but perhaps the biggest stumbling block is our conception of what Scripture is. We think of it as a divine handbook, a love letter, a depository of data to fuel research, or a story of salvation history and then we strip mine it for information. Rarely to do we consider it a work of art or a cultural expression that could shape our aesthetic. But why not? The mere fact that it contains poetry should be enough to convince us that Scripture has an artistic nature in addition to a didactic one. Many Christians approach the Bible through a rigid system — a liturgical calendar, a prescribed reading schedule, or a daily quota. This is tremendously problematic if these are the only ways in which we relate to our most sacred text. Potentially, the Bible becomes another task that we tick off our to-do-list. We need to cultivate times of unstructured reading. To borrow a phrase from Alan Jacobs, we need to read at whim. If the desire arises to read a Psalm or a Pauline letter, or, dare we say, Leviticus, and it’s not the specified passage for the day, carve out a few minutes and soak in it. But equally problematic is the person who reads the Bible with no rhyme or reason, retweeting a random verse here and flicking open a Bible to whatever page there but never getting around to finishing an entire narrative. There’s hardly a chance that this person will enjoy the Bible’s story lines or integrate its teachings into coherent ideas. The books that make up the whole were intend to be read through. If we treat the Bible like a jumble of hypertexts and bounce around its pages we will never appreciate it in the ways its authors intended. Like prayer, the Bible is best read fixed and free. Impromptu sessions should accompany liturgical recitations and whim should interrupt schedules. In addition, we should read the Bible for enjoyment as well as study it for understanding. To a large degree these are very different acts but embracing the Bible more fully involves holding together the tension of keva and kavanah. Paolo Flores d’Arcais wrote a breathtaking blog post for the New York Review of Books. 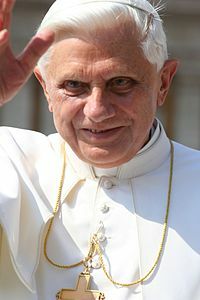 It’s one of the most trenchant attempts to interpret Benedict XVI’s resignation that I’ve read. He explores the theological implications of a Spirit-inspired Vicar of Christ on Earth saying that he is too old to continue in his divinely appointed task. Is the Holy Spirit not able to strengthen him and the church during a time of mortal weakness? This is a weighty question, to be sure. But what intrigued me even more is d’Arcais’s speculation that in the face of raging power struggles that are bringing the Church to her knees, Benedict decided to surrender. To scamper off to Castel Gandolfo and after that to a former convent. Too old and feeble to fight, the now Pope Emeritus chose to pray. We’re not waging war against enemies of flesh and blood alone. No, this fight is against tyrants, against authorities, against supernatural powers and demon princes that slither in the darkness of this world, and against wicked spiritual armies that lurk about in heavenly places (6:12, The Voice). Possibly, Benedict had this passage in mind when he received the report he commissioned in the wake of the “Vatileaks scandal.” Scheming priests, money laundering bankers, and blackmailing bishops – they are just bit players in a much bigger game. Their sins would take some doing to unravel but the real challenge would be addressing the evil that propels them. That’s something that no pope, no matter how physically fit, is able to do on his own. At this point – emotionally dead, physically frail, and spiritually tired – perhaps Benedict thought of Christ at Gethsemane. After his closest friends failed him and a trusted advisor betrayed him, Jesus faced his own death. The Pope may have seen similarities between his circumstances and those of his Lord. Intriguingly, Christ responded to all this by retreating in prayer. If we keep reading we find that after this night of passionate petition Jesus went to his death and, as the Gospels confess, death was defeated in resurrection. Jesus didn’t surrender to pray, he prayed to continue the fight. But it was a fight that was won through self-sacrifice and persistent – defiant, even – prayer. To many, Benedict’s decision seems like a foolhardy act of cowardice at best and a negligent abdication of his religious duty at worst. He gave up at a time when the church needed him the most. Yet, it might be that, in Benedict’s mind, he was taking the fight to a whole other level.